It looks fab ^^ I'd go with a creme no problem, but sure the jelly gives such a sweet effect... They're perfect! This looks lovely! So delicate. I've never tried this type of design but I would like to give it a try ;)) You did a splendid job here and you're right about the jellie nail polish it gives a softer touch to the design. This is really pretty! Great job on the paisley design! Paisley print is also on my list for a while, because it's interesting to look at (: This looks very beautiful, but the blue china print is still my favorite! It's gorgeous!! And so gentle, and so beautiful, and...and... I don't have enough words :))!! Colors are so beautiful together! Oooh how pretty! 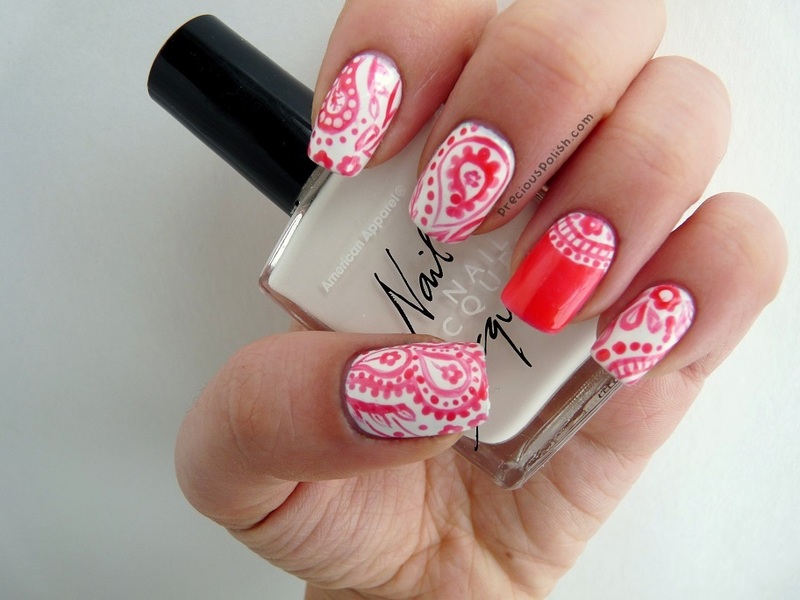 Your paisley design looks beautiful! Sooo beautiful! I've wanted to do paisley nails forever too, and I love how you executed these! !